Amazon’s founder Jeff Bezos made news over the weekend for being the richest man in the US–worth well over $100 billion–but that announcement pales in comparison to the news of Cyber Monday deals available through his company’s site. While the usual Amazon-branded tech will be on sale along with gadgets of every shape and variety, the real treasure trove is to be found in the books that will be on sale for the day. Kindle Book Deals are an everyday occurrence, but on Cyber Monday, those deals will encompass even more ebooks and print editions. In addition to some of the books that Amazon’s editors selected as their Best Books of 2017 So Far, other titles will be steeply discounted on Monday. Of course, with Small Business Saturday just behind us, now is the ideal time to take a chance on an indie author. The industry has struggled to keep up with the growing popularity of self-published titles, but many avid readers can attest to the fact that the top-selling indie titles are wholly indistinguishable from their traditionally published counterparts…unless you count the funds actually landing in the authors’ bank accounts, that is. 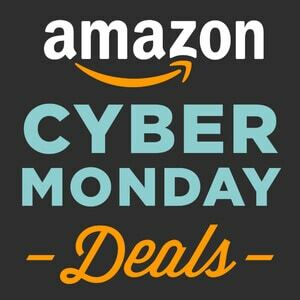 In order to know which titles are typical Kindle Daily Deals and those that are Cyber Monday deals, check out the link here to see the specials that are currently in promotion.